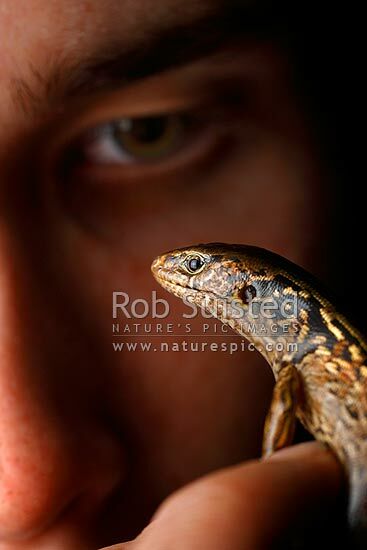 McGregor's skink (Oligosoma macgregori, Scincidae) and human face. Previously known as: Macgregor's skink, Cyclodina macgregori. Very rare NZ endemic endangered species, Mana Island, New Zealand (NZ), stock photo.